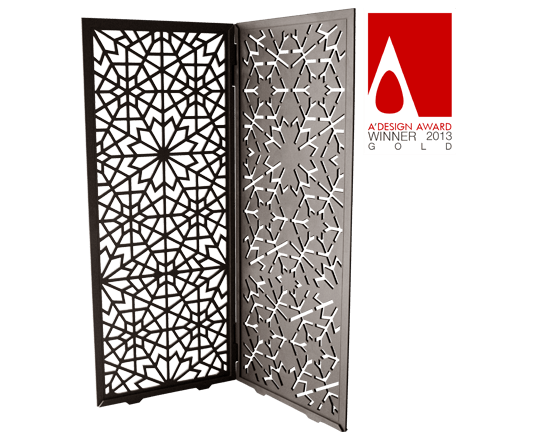 Positive and Negative paravent is what you can call Functional Art. 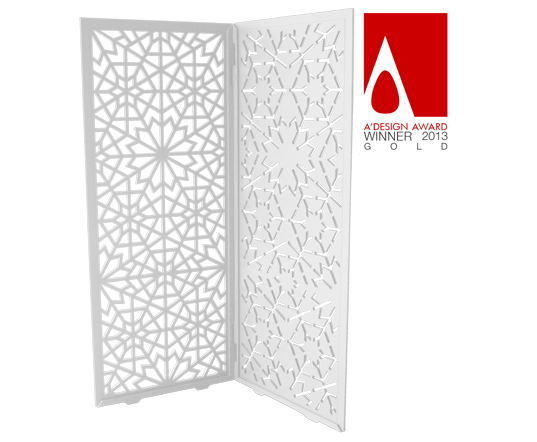 The cultural Arabian pattern is laser cut out of Corian material mixing the traditional with the contemporary. 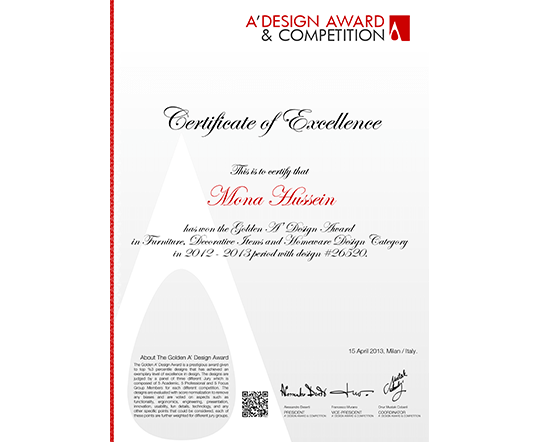 The name of the product represents how the effect of subtracting and adding shapes can be for both artistic and functional purposes. 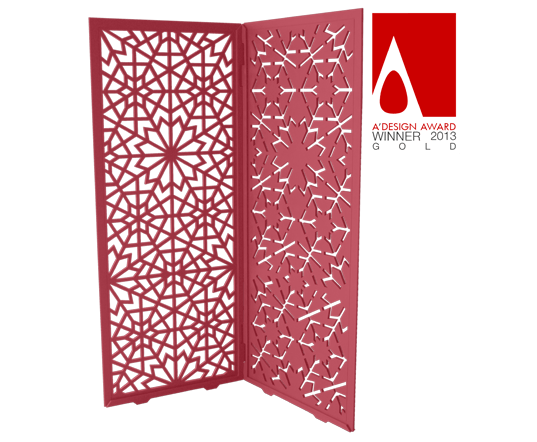 The concept behind the design of this paravent is to elegantly seclude and preserve privacy while maintaining the idea of an open space, which is inspired by the concept of the «Mashrabiya»; a historical and integral part of Islamic architecture. 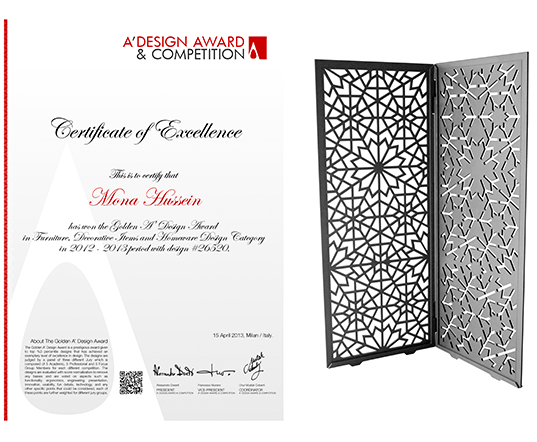 The geometric pattern used is adapted and inspired from the rich cultural heritage of the Arabian world and craftsmanship. The benefits of the Corian material are that it is a resistant, smooth surfaced, air-quality friendly, sustainable, easily formed to any shape, and can be functional indoors and outdoors.